Love pickled green beans!! This one looks and sounds wonderful. And the refrigerator method to boot! Thanks for sharing. My pleasure, Pat! I'm a fan of the fridge method. Right now I have some curry cauliflower pickling - can't wait to try it. Hannah - I just now read through your last post before reading this one and my heart goes out to you. I'm glad you are surrounded by such a wonderful community. What bowls of love you shared. My prayers are with you. And, what a bright recipe you are now celebrating life with! This looks amazing. Thank you for your kind words, Mikaela. It has been a tragic time and I am thankful for all of the support. Life offers much to celebrate and appreciate and I'm glad to focus on that, too. Pickled peaches! I'm thinking a salad with those would need some walnuts, too. Delicious. I love the idea of spicy green beans, too. Yum! I like how you think, Lauren - walnuts would be delicious with the pickled peaches and I wish I'd thought of it. Next time! Have fun canning, Suzanne! I can't wait to see what you create. These sound really good. I really like the idea of the pickled peaches. I love most all things with jalapenos! Thank you, Cynthia! The peaches were a "why not?" and turned out to be delicious. I do love jalapenos, too - I have some cauliflower pickling right now and slipped extra jalapenos into the brine. I appreciate you stopping by! Hi Hannah - Sorry to hear of the sad losses in your life in your last post. 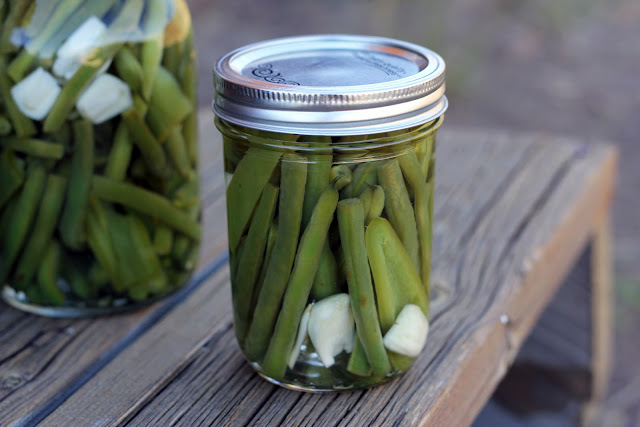 I think I just might try pickling something this summer. Was just listening to Marissa of foodinjars talk about super sour pickles which is a wonderful memory flavor for me from my childhood and I think I just might try my hand at it. Your green beans and oh my the peaches - how lovely. I just noticed that you used to be the chef at Hillel UW. What years? My niece went to UW, spent a lot of time at the Hillel including working as a barista there. Thank you, Beth, it's been an emotional summer so far. I'm looking forward to sunnier times. 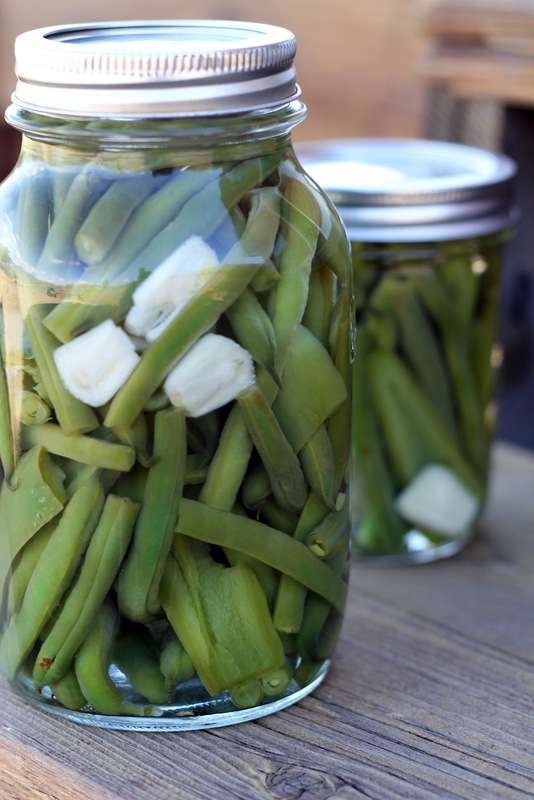 I hope you try some pickling this summer. I'm a fan of the quick fridge pickles - haven't tried my hand at the long-term canning process yet. Some day! I cooked at Hillel UW from '05-'11. Was your niece there during that time? I made food for the cafe where she was the barista (mostly chocolate chip cookies!). It's a wonderful Hillel and I'm glad she was part of the community. A small world indeed. I'm especially intrigued by those pickled peaches! Hi Jen - the peaches turned out to be an unexpected treat! I'm thinking of other summer fruit that could be pickled into something delicious now. I am just getting caught up, and am so sorry to hear of your losses. I'm glad you were able to take comfort in traditional foods and rituals. Your pickles look beautiful--peaches sound like an excellent way to use up leftover brine. And if you ever feel so inclined, I know there is a company that makes a perfume very evocative of the scent of tomato plants, I think it's called Demeter. Thank you, Venessa, I appreciate your kind words. Ritual and tradition play a large role in providing comfort, and food is definitely part of it. I checked out Demeter and am intrigued by many of their scents - thanks for the recommendation! Love the idea of the savory/sweet peaches...great thinking! I love pickles and make them sometimes (but not these days). 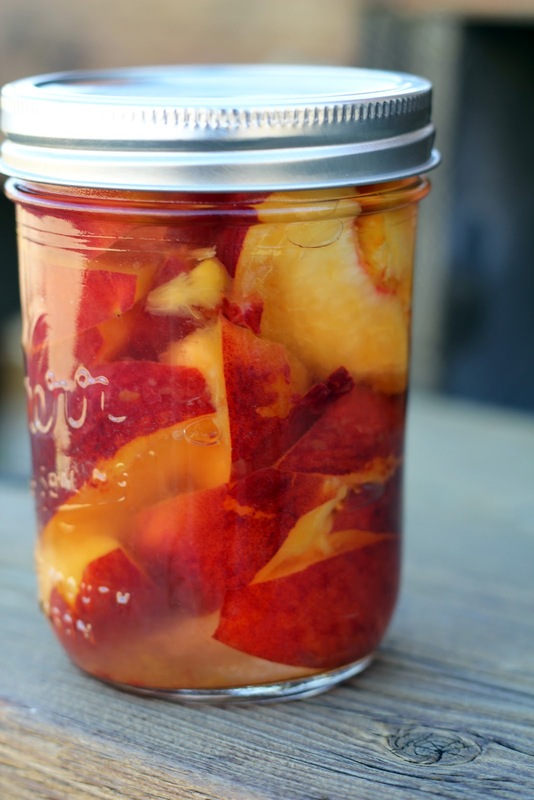 I've never tried pickling fruits, especially peaches! That's something I would love to try! Let me know if you give them a try, Nami! Most of the time spent is fridge time, so they are pretty quick. Hope you are enjoying your summer! Love pickles! They can brighten up any salad or just great to snack on on their own. Love the picked peaches too,what a great idea. Thank you, Mairi! You are so right, reaching for a jar of something pickled to nibble on or to add to a dish is wonderful. We're just finishing up some curried cauliflower now. i wont try any fruit pickles and its great idea to picked peaches. Thank you, I hope you give them a try. 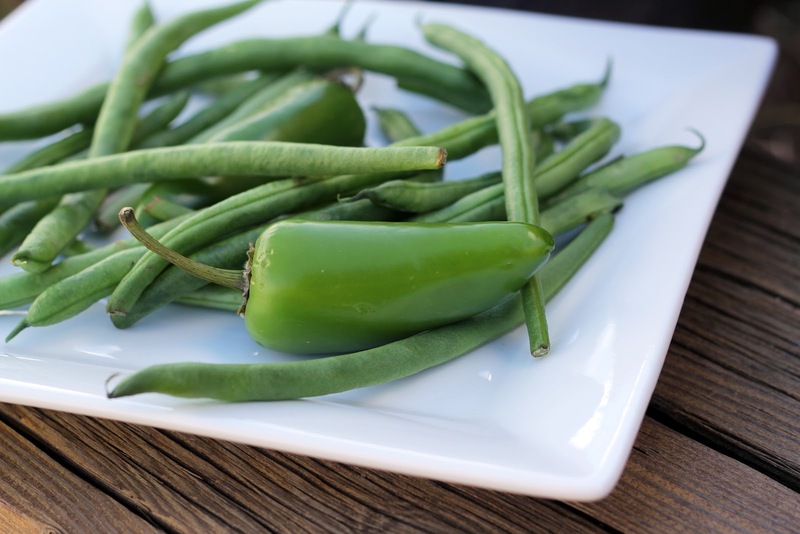 I love Pickled Green Beans but I can't eat spicy, can you suggest an alternative to the Jalapenos? Hi Teresa, you can leave the jalapenos out and double the amount of green beans, or add thinly sliced carrot sticks (blanch these, too). Since you won't have the spicy flavor from the jalapenos you could add some fresh dill or another herb that you like. I hope you enjoy the beans! I'm happy you stopped by.